Eye Wide, Tongue Tied, is the latest album from the Scottish boys and has some very noticeable differences from previous albums. They’ve never been the type to release an album in the same realm of their previous; their ever-changing sound is almost to be expected as the band takes chances by adding an undertone of a differing genre. Though they’ve always managed to add their signature edge and energy to each piece of work, keeping their collection cohesive. The high-energy of the Fratellis has been transformed from their garage-rock debut, Costello Music (2007). The change began in their following by release of, Here We Stand (2008), which focused on perfecting plain old rock music with an utterly English influence. 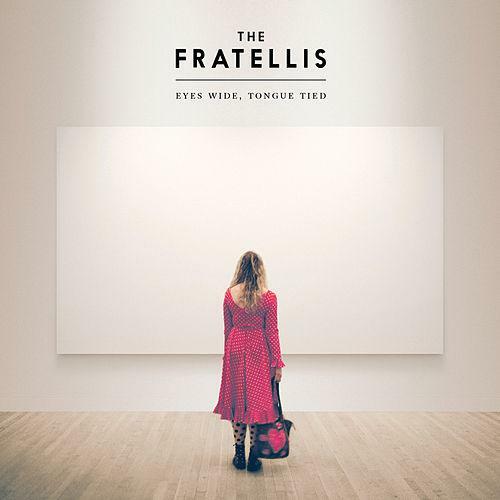 Switching paces completely with, We Need Medicine (2013), threw away any preconception of the band and instead offered a country undertone only The Fratellis could have created. Now with their newest album, The band have decided to conquer something darker. Eye Wide, Tongue Tied, differs by slowing down John Fratelli’s normally elating fast-talking voice. The album is darker and more mature than anything they’ve ever released. Musically the biggest change is heard by the simple swap of emphasised instruments. Unlike previous albums, a more paced- sleek sounding guitar is also noted, and bassist Barri Fratelli doesn’t take a backseat. Instead he offers a nicely amplified bass, which adds a sense of slow seduction. Me and The Devil, is the masterpiece of the album. The lyrics offer up the exact feel of the tone heard from start to finish, a dark romance you couldn’t escape if you wanted to. It also showcases the more full-band sound that was drawn on throughout. Rosanna, is one of the more interesting tracks. So unlike anything *** has ever sung you cant help but replay the track unsure of whether you love it or hate it. 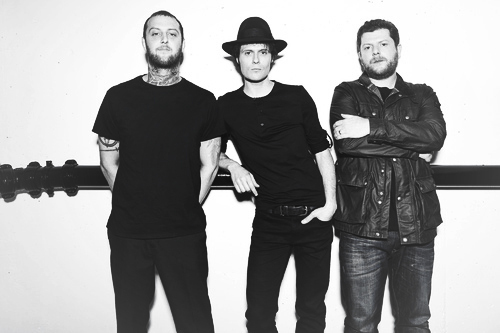 Incase you were a little cared that the Fratellis has lost their sound you hear Thief a few tracks in and the fast-talking danceable sound you’ve grown used to is back. Followed by Dogtown the tracks are still heavy with the new changes, but offers everything the cousins are known for. Overall, it’s a change that may result in a love or hate relationship with fans, but if you’re on the love side like me. Then check out their new album.